HealthPoint of Fort Worth, Texas hosted a Build-A-Bike ® team building exercise for this group who work for the same company but only speak to each over the phone. HealthPoint is committed to investing in the discovery and development of scientifically sound, cost-effective pharmaceuticals and biologics. Our experienced Research and Development team helps accomplish our mission by bringing novel biologics and pharmaceuticals to market. A determined focus on improving clinical and quality-of-life outcomes in patients affected by wounds drives our work in cell sciences, antimicrobials, biologics, and small molecules. Chelsea, the organizer didn’t tell the group what they would be doing, so when they walked into the room many of the comments were “I don’t know how to build a bike”. This group works in two different locations, they speak daily on the phone but they have never met. The group consisted of District Managers, HR department employees and any staff members who wanted to participate. Build-A-Bike uses a series of challenges and activities to encourage team building. The activities are meant to be something of a caricature of behavior we can see in the workplace. The exercises brought out the playful side of all the participants and “this was a perfect way to bring a group together for the first time” said Chelsea. HEALTHPOINT believes in the importance of giving back, community participation is more than just an idea we encourage––it’s one of the core values that guide our practices. From our perspective, community involvement is one of the defining features of a health care company. 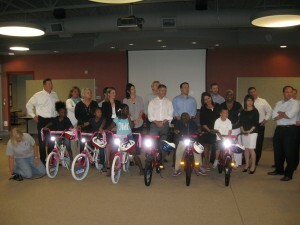 The Boys and Girls Club of Fort Worth and Roland Greene accepted the bikes along with the kids. 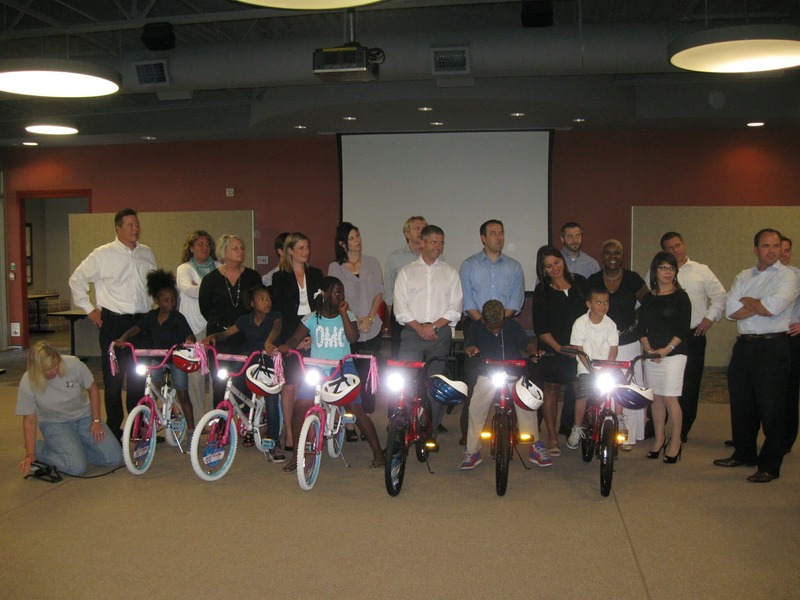 The kids from the greater Fort Worth area were so excited about their new bikes, the first for all of them.